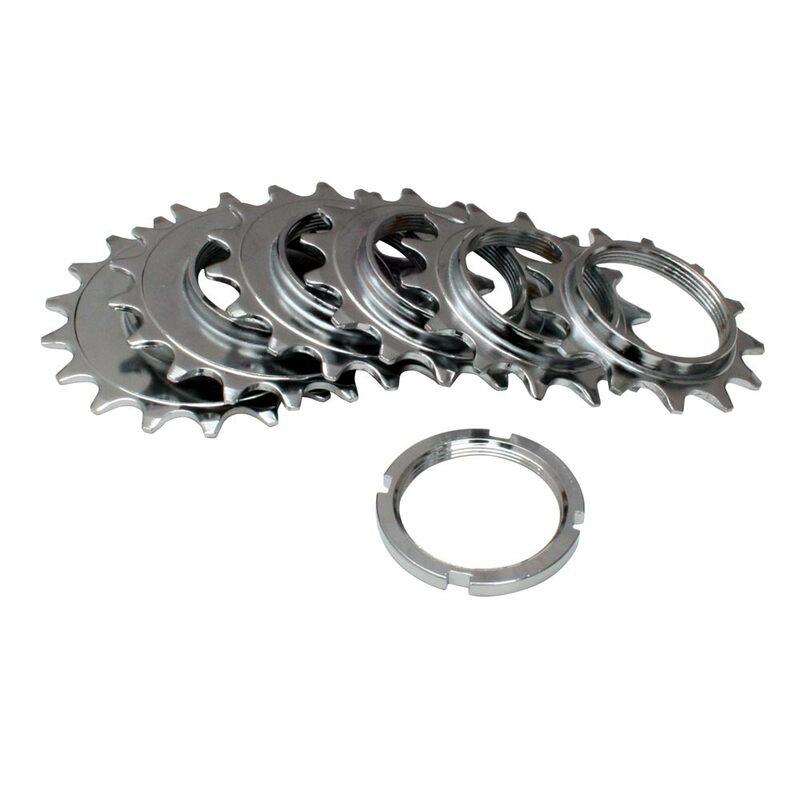 Economic and functional Fixed Sprockets. CNC machine finished from pressed hot rolled mill steel plate. Pictured with optional chrome plated steel lock ring. Not included with cogs.